Is this Devil May Cry game worthy of its predecessors’ legacy? 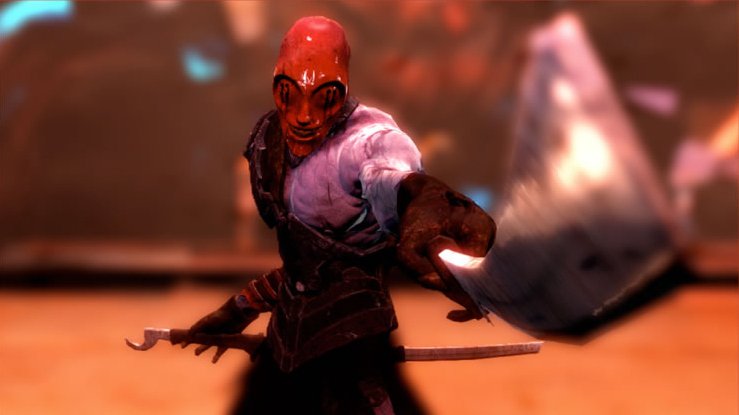 DDevil May Cry has been released on the PC just about a week after the release on the PlayStation 3 and Xbox 360. 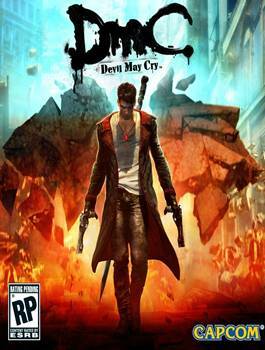 Handled on Steam for the PC, Devil May Cry was developed by Ninja Theory across all platforms. The game is a reboot to the popular Devil May Cry series. Although early reports were that Devil May Cry was going to run on DirectX 11, in my testing on a few machines, I found that the game only runs at DirectX 9. I’ve also found a site with the same numbers. 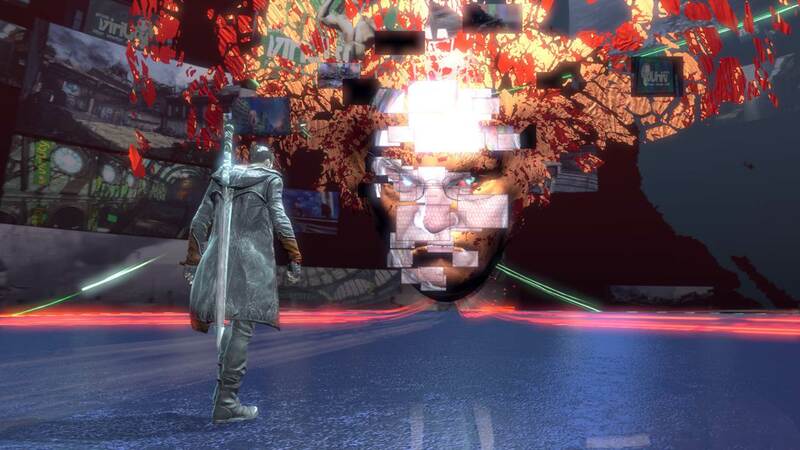 Although Devil May Cry could have certainly benefited from DirectX 11, with the art style and game play, there’s a possibility you might not notice. The art team did a fantastic job with tricking out the Unreal Engine, and truthfully, it’s one of the nicest examples of how strong the Unreal Engine can be when used by some skilled artists. I can’t just single out the artists though, there must have been some mad hours spent on coding in the hallways that stretch. You can be running down a corridor that’s only one hundred feet long, and then it breaks and stretches to three to four hundred feet. It can really warp your sense of depth and it’s a great feature. The only major difference between the consoles and the PC are the controls. With the PC you have the option to play with the keyboard and mouse instead of the controller. I played half the game with the keyboard and mouse setup until I got through a major boss battle. Up until then it all seemed manageable. As the game progressed and more combos were added to the game play it became harder to manage all the keyboard buttons. The key was to taking your time, but when it came to the boss battle where you had to jump over objects and then ground pound triggers that’s when the keyboard and mouse set up just fell apart for me. Thankfully the PC version does not have an issue with switching from the keyboard and mouse to a game controller. I would recommend playing this game only with a controller since it had become increasingly harder to hit the right combo buttons at triggered events or situations where you need to grapple to one spot and then glide in the air. On the keyboard you are looking at using four or five buttons with well precise timing. On the game controller it took 2. Although there are options in the graphic settings to turn graphics to ultra, or turn shadows on, if you play the game at low setting, it still holds up very well. On the last two battles I had a performance hit and had to switch my settings down to make game play manageable. There truthfully aren’t any bonus options to the PC version that the console doesn’t already have. There’s no multiplayer online play and although the consoles can handle online games as well, Steam does a better job. However since there’s no online play it’s more of a moot point. 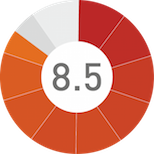 Overall with the difference between the PC and console version of Devil May Cry being minute I would refer you back to the previous review, here on GamingBolt, created for the console if you want to know about game play and story, as I agree with the the review. Fantastic Graphics, pushes the Unreal Engine. DmC: Devil May Cry shows the ability of a developer under immense pressure from fans and from a company that handed over one of its prestigious franchises to them. It was easy to screw up, but they didn't.